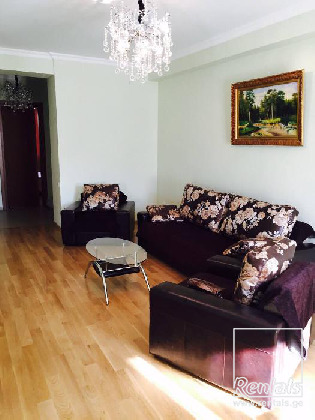 Prime Location and City Views: modern, and new 3 room apartment in downtown Tbilisi,Georgia. It is located at #7 Chavchavadze Avenue in a newly built 11 floor building. The Apartment is on the 10th floor offering the exceptional views from two large balconies. Utilities in the apartment include brand-new furniture, electronic appliances, TV, Air conditioning for hot Tbilisi weather, internet and central heating system. It covers the area of 117 m2 and costs 1300$/month. Call Nani at the phone number 595-57-99-05, or e-mail us for more information at nani_gergaia@yahoo.com.